The Dutch Baseball and Softball Federation (KNBSB) announced on Monday that the former Tennessee head coach Rod Delmonico succeeds Robert Eenhoorn at the helm of the Netherlands Baseball National Team. The 50-year-old will take over on January 1st 2009, when Eenhoorn moves into his new position as technical director with the KNBSB. According to the press release Delmonico’s first tournament will be the World Baseball Classic next March. He is the 16th American skipper of the National Team. Delmonico began his coaching career 1981 as an assistant coach at Gloucester County College and worked in this same position also at Clemson University (1982/83) and Florida State University (1984 to 1989). He was named head coach at the University of Tennessee in 1990 became the winningest coach in school history. In 18 years till 2007, when both sides parted ways, Delmonico had a record of 699-396, including a 263-255 mark in regular season SEC play. He was named Baseball America Coach of the Year in 1995 and led the Volunteers to the College World Series in 1995, 2001 and 2005. The past two years he worked with Major League Baseball International and worked with the Florida State University. He also wrote four books, ‘Hit and Run Baseball’, ‘Offensive Drills’, ‘Defensive Baseball’ and ‘Defensive Drills’. 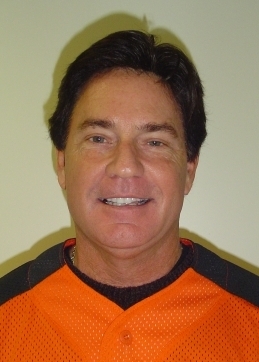 He has been a contributing writer in numerous national coaching periodicals and spoke on various Baseball clinics in Europe during his career. At the 2009 World Baseball Classic he will be assisted by Bill Froberg, Wim Martinus and Hensley Meulens. A new pitching coach will be appointed soon. The Netherlands face Puerto Rico, Panama and the Dominican Republic in Pool D of the tournament in San Juan. At the Baseball World Cup next September in Europe the team has a bye for the first round, as they are one of the hosts in the second round.